Tag line: "Deep ocean terror at a new depth!" Borrowing elements from other films and with a style reminiscent of a SyFy original movie, Shark Attack in the Mediterranean isn’t the best shark-related flick you’ll ever see, but it’s not the worst way to pass an hour and a half, either. For a while now, Sven (Ralf Moeller), a German expatriate, has been operating a helicopter shuttle service on the island of Mallorca, where he lives with his teenage daughter Maja (Oona-Devi Liebich). Years earlier, Sven’s beloved wife (and Maja’s mother) was killed in a shark attack, a tragedy so devastating to him that he’s strongly considering moving back to Germany. One day, while flying newly-arrived oceanographer Julia Bennet (Julia Stinsoff) to the local institute, Sven intercepts a distress call saying three divers are trapped in a cage at the bottom of the ocean, and are completely surrounded by man-eating sharks! Once rescued, the divers claim they saw an enormous shark, over 30 feet long, swimming in the area. Their story is somewhat confirmed the next day when the badly mutilated body of a young man washes up on the beach. Sheriff Carlos Rivera (Gregor Bloeb), who also happens to be Sven’s best buddy, doesn’t believe a huge great white is patrolling the nearby waters, an opinion he shares with Dr. Verena Brandauer (Katy Karrenbauer) of the institute. A shark expert researching a possible cure for cancer, Dr. Brandauer says there hasn’t been a creature that large since prehistoric times. Determined to prove them wrong, Sven teams up with Julia Bennett to hunt down the humongous carnivore, but even if they do find the shark, how exactly are they going to kill it? If Shark Attack in the Mediterranean seems a little familiar, it’s because it has a lot in common with some earlier shark films. Researchers using sharks to help cure a debilitating disease? That’s straight out of Deep Blue Sea. Helicopter versus shark? Jaws 2. At one point, an official, hoping to prevent a panic from breaking out, says an obvious shark attack might have been caused by a boat’s outboard motor, a statement lifted almost verbatim from 1975’s Jaws. Along with being unoriginal, Shark Attack in the Mediterranean has a style that’s way over-the-top, with lots of swooping cameras, quick edits, and senseless slow-motion (the filmmakers actually thought it’d be a good idea to show Sven tossing his sunglasses onto a table in slo-mo). Adding to the unintentional hilarity is a scene in which Sven runs up and down a crowded beach, shouting “Shark alarm” over and over again to get the swimmers out of the water. I don’t know how many times he bellows “Shark alarm”, but I’m betting it’s at least a dozen and a half. Here’s the thing, though: I still had fun watching Shark Attack in the Mediterranean! The action scenes are fairly intense (especially the opening rescue), and there’s a subplot involving Carlos’ dying wife that gives the story a dash of emotional depth. 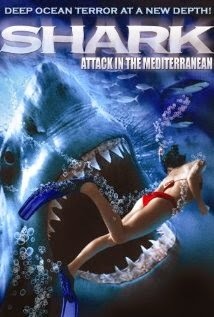 I won’t lie to you: most of the time, this movie is more “so bad its good” than it is “good”, but whether you’re swept up by the film or just plain laughing at it, Shark Attack in the Mediterranean is one picture that’ll definitely hold your attention.